Does the new format of Cricket (Twenty 20), Technology and New generation affecting Test Cricket? Yes, the impact of these generation gaps and trends are affecting sure for the Classical Test Cricket. We are now running beyond the time (sometimes) in our Mechanical life and so leisure and patience is going down. Now that the New Zealand tour of India already started (India won the series leading 2 -0, with one more test match left now), the intensity increased a bit to watch, just not for my long lasting passion for Cricket, but India played its 500 Test match. For me the time zones may affect but at least I am happy for some extent because of PST time zone, as I can watch at least till Lunch Sessions (By that time it will be Midnight here). During recent conversations in phone with my friend, He asked what actually I was doing? I said, I am watching Test Match (Current India vs. New Zealand 2nd test match in Kolkata). Test Match? Are you Serious? Yes, What’s wrong in it? I asked. Not about what’s wrong, but the question is , how can you able to watch the cricket and that to Test Cricket? Does anyone following Test Cricket now? Now, it’s not that I blame my friend for not watching (as he is not avid follower of cricket), but I came across these kind of similar incidents in recent years. My heart sank down whenever I hear these downgraded statements against Test Cricket. My patience or may be my anger burst out and so that may be reason for my writing now about the Test Cricket Charm. Yes, Test Cricket is seriously charming and at times amazing to watch too. The boring doesn’t affect your mind and the thinking of throughout the day playing can be erased if you watch it with fun, joy and intensity. We actually learn the game of Cricket when it comes to Batting or Bowling. Young generation, please understand that Test Cricket makes you to learn a lot about the defense, type of shots, discipline and patience. Having said that Cricket is hence called as Gentleman’s game. The greatness of Test Cricket is not that you hit 4’s and 6’s every ball or have a fastest 50’s or 100’s. In a nutshell Strike Rate, Batting Strike rate is not important here. The more number of balls you play with less number of runs; this is what Test Cricket defines its nature. The other reasons the Indian youth(some) losing interest may be because the classical cricketers retired from the game. The classical cover drives and the commanding self-defense from Rahul David, the typical, technical and tempo play from V.V.S Laxman, the off side dynamic shots from Saurav Ganguly, the dazzling play from Sachin throughout the ground,the fierce play from Virender Sehwag, we are missing these legends play in the ground now. Not just in terms of batting but the bowling too. I am missing the Leg breaks and variations from Anil Kumble, Seam from Javagal Srinath and swing from Zaheer Khan. We the 90’s guys have enjoyed the magic of Test Cricket and it’s hard to erase the legendary players so soon from our mind. We often compare the current team play vs. yesterday years play. This might be same case when our elders or father’s compared the Cricket Legends of 80’s when Sachin, Saurav or Dravid are playing in 90’s. The daring acts are actually more in eighty’s time vs. Ninety’s Test Cricket. The batsmen have to face the aggressive bowling from opponents with no helmets. The curiosity might have for sure well defined for the cricketing spectators who watched in 80’s like, how does Gavaskar handle the fast bowling from dominant bowlers? 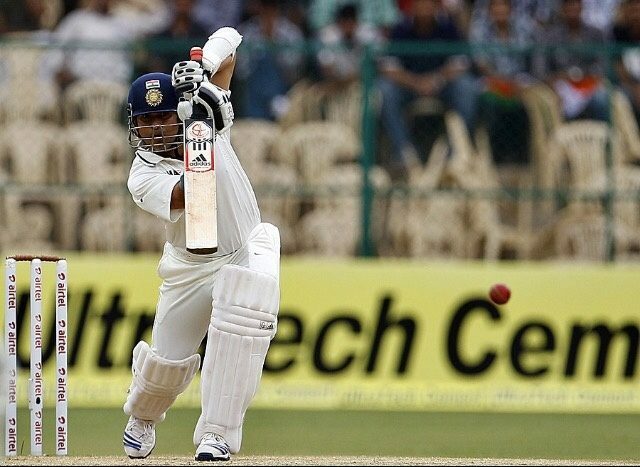 The Test cricket magic lies on many factors and also how we visually enjoy the play. Sometimes the tense movements arise in the final day when the team wants to win with just 1 or 2 wickets in hands (2 hours before the end of play). At this point tension is bit higher for both teams as well as the spectators and the result can be Win,Lose or Draw. 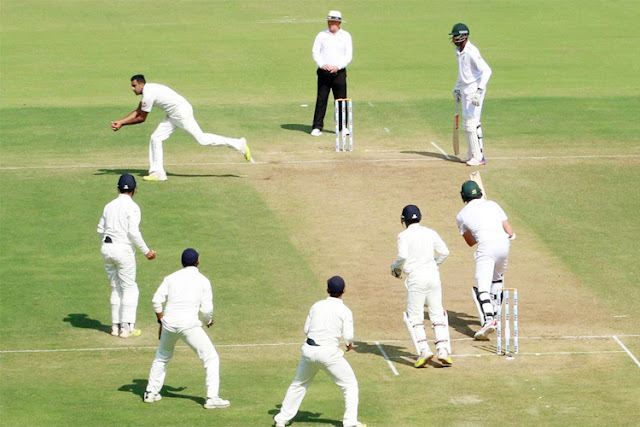 When the Batsman leaves the ball or tries to defense the ball if bowler attacks with pace or spin, surrounding by fielders is great way of showing composure and self-defense acts. The experience is same when you watch the bowling too. The seam or swing from fast bowlers really gives that OH! What a bowl effect. The Spin variations in difficult pitch conditions (Favorable for Spinners) for the batsmen is so challenging to defense and deviate more towards the bat talking to ball. It’s a visual treat we experienced when we used to watch Tendulkar’s classical Straight Drive, Dravid’s Cover Drive, Square cut, Paddle swoop, Ganguly’s trademark Off side shots, Very very special typical flick shots from Laxman also Azharuddin plays flick shot too, like Tendulkar and so Sehwag for their magnificent Upper cut, Dhoni’s Helicopter shot etc. Sometimes beauty is expressed through acts of play and these legends proved that. Not just Batting, but in bowling standards we have great bowlers in Test Cricket. The ability to swing in both ways from Zaheer, Top Class seam from Javagal Srinath, off break and doosra from Harbhajan Singh and my favorite Anil Kumble known for his Leg break, Spin variations. 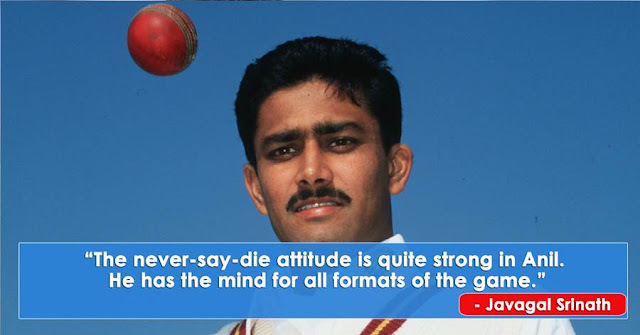 No one is as best as the Jumbo (Anil Kumble) in terms of reading the minds of a batsmen. But wait, that doesn’t mean the magic of test cricket ended after the legends retired. So the fact here to be known is Players Change not the Test Cricket. The responsibility is in our hands to continue the echo of the Test Cricket and make it live without an End to the sport. 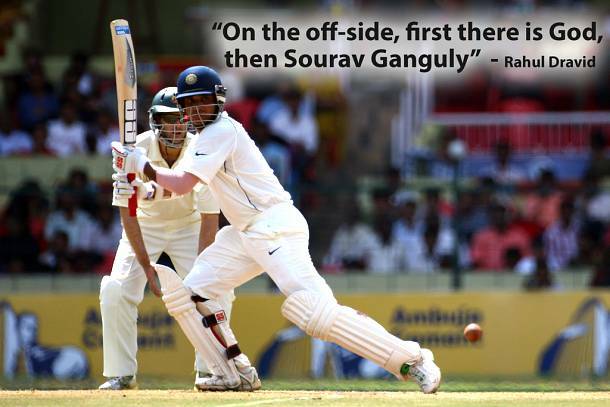 We have the Test Specialist batsmen in form of Murali Vijay. We have Ajinkya Rahane and Pujara as catalyst for Test Cricket. Sometimes their play reminds of Rahul Dravid innings. Kohli and Ashwin with experience already are pivots now. 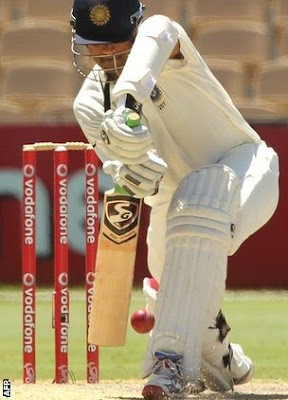 Emerging player K.L Rahul looks determined and his act of play justifying him to get settled as opening batsman. The pace or seam is well connected with Bhuvanesh Kumar and Shami(Reminds the pace of Javagal and Zak). Without hard work and commitment from Indian team you don’t see the history of Indian Cricket traveled from 1st Test to crossing 500th now. This Saturday (10/8/16) we are going to play third and final test in Indore (Ind vs. NZ). The good aspect is that Indore is hosting its Test debut. Indore has rich cricketing history too. 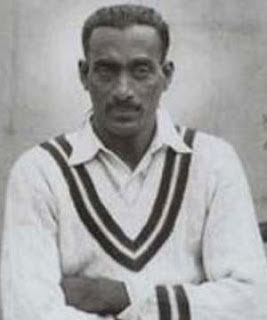 1st Test Captain C.K Naidu and 1st centurion Syed Mushtaq Ali, away (112 vs England in Manchester, 1936) belong from this place (I read in CricInfo article). The wall Rahul Dravid also born in Indore too, though he raised later on in Bengaluru. There are some interesting fact known about C.K Naidu based on article I read in CricInfo. 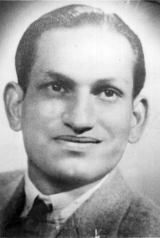 C.K Naidu is known for big hitting and while he played in Secundrabad Gymkhana ground, his huge six made the clock to broke on a 40-foot tower (50 Yards away from edge of Boundary). Thanks to BCCI for this initiative to make the Test Cricket move from Big known stadiums to the small venues like Indore now. There is lot of retrospect about the future of Test Cricket in recent years and with this change of bringing the Tests to small venues can be a true change of color to make the Test Cricket alive and glorifying. P.S - The post I written here is mostly focused on the players I known from 90's, when I started watching test cricket in my Child hood. We have many legendary Indian Test players I known of like Sunil Gavaskar, Ravi Shastri, Kapil Dev, Lala Amarnath, Mohinder Amarnath, Bishan Singh Bedi, Sanjay Manjlekar etc which I didn't wrote here. 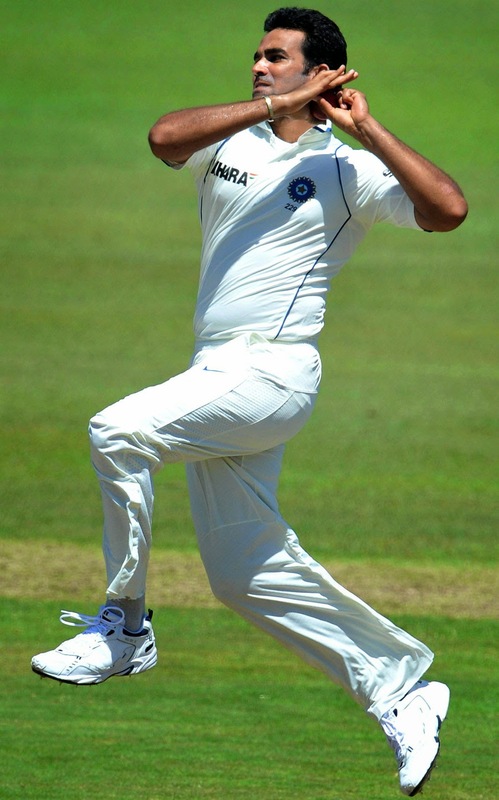 Also, as this post is purely on Indian Test Cricket I focused on the Indian Cricket player shots and techniques. 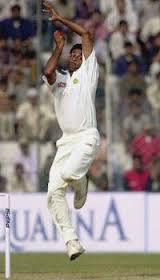 Internationally, we have great legends in terms of cricketing shots and bowling standards too. The Pull shot from Ricky Ponting, Dilscoop from Dilshan, Cover drive from AB, Flick from Sangakkara, Reverse swing from McGrath, Wasim Akram, Seam and Pace from Brett Lee, Vaas, Off break from Muralitharan, Leg Break from Warne are few examples to say about International legends.